I’m happy to report the weird cocktail of genres has not disturbed me one bit! This is my first experience of reading graphic novels and me likey! 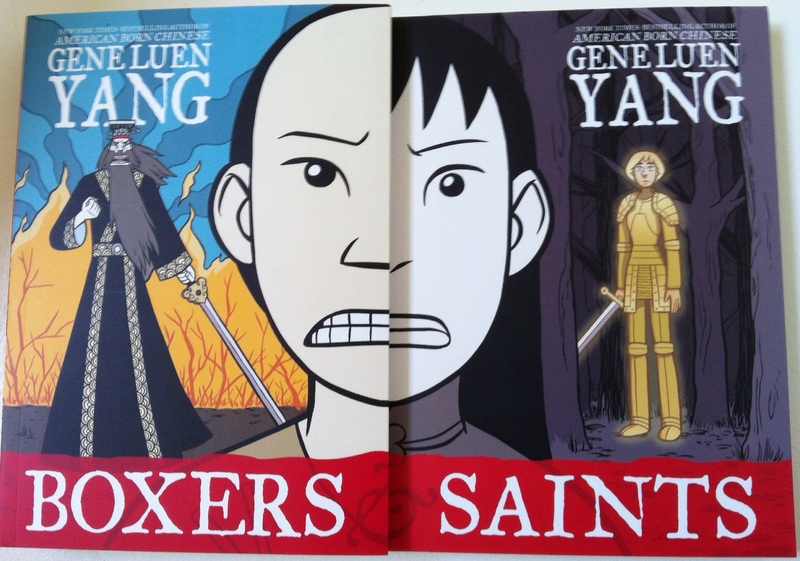 Boxers & Saints is an ambitious project: tell a story through simple drawings of two peasants caught up in a time of turmoil and sweeping change, all the while doing justice to the history. 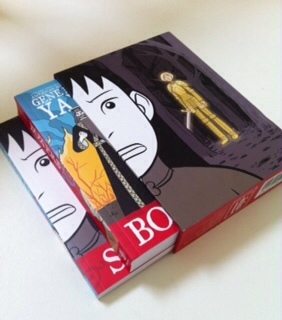 Author Gene Luen Yang succeeds, presenting a compassionate and often humorous version of China’s Boxer Rebellion from the perspectives of the warring factions. The Boxers were the commoners who trained in kung fu to fight off marauding bands of “foreign devils,” aka missionaries and soldiers. The Saints were locals who converted to Christianity, seeking safety and solace from the social breakdown of the time. Yang has both sides of his story drawing on mystical powers. The colourful Chinese gods aided and abetted the Boxers while the Christians sought divine intervention from glowing apparitions of martyred saints. Okay, this one’s about as frothy as they come, but there’s nothing like steampunk to fire the imagination. A Victorian finishing school for young ladies of quality provides the setting, but it’s not your run-of-the-mill beauty school. These chicas are trained in poise, manners, and mortal combat (while avoiding mussing one’s doo and making sure one’s petticoat is not exposed.) The plucky, tomboyish protagonist, Sophronia Temminnick, quickly proves to be a major headache for her mentors, blundering along and embroiling herself into dangerous and highly unladylike situations. Carriger’s alternate Victorian world is a dark place where vampires and werewolves roam alongside mechanicals (steam-powered robots). I highly recommend the audio performance. Suitable for older MG/young YA readers. As a writer of middle grade fiction, I search out and read high quality books in this category. 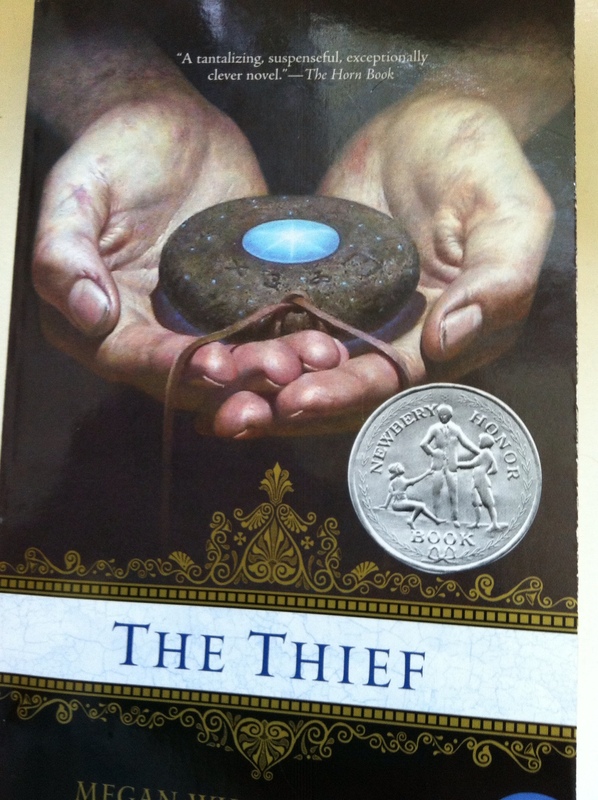 The Thief, in addition to winning The Newbery Honor Award and some ALA awards, had umpteen rave recommendations online, with one literary agent claiming MWT (author) is “the goddess of POV.” Well, that did it for me. I ordered the first two books in the series. The Thief is indeed a lesson in masterful POV (point of view) but also in skilful handling of the slow reveal. This is a treasure quest story, and it unfurls in such a delectable way. I’ve had writing mentors say that action is essential; readers will get bored if “nothing’s happening.” Well, you know what? Most of this book, the first 144 of 280 pages, covers not the exciting hunt for the treasure, but rather the laborious journey through the wilderness from the city to the site of the treasure. In that half, there’s not a lot of “action” or even excitement, but good stuff is going on. The dynamics between the members of the party play out. It all makes the twist at the end extra enjoyable. I think it’s fair to say that the author breaks a major writing rule with her fabulous finish (but I can’t say which rule it is without spoiling the ending). It just goes to show if you possess the skill and artistry to write a good story, you can break all the rules you want. 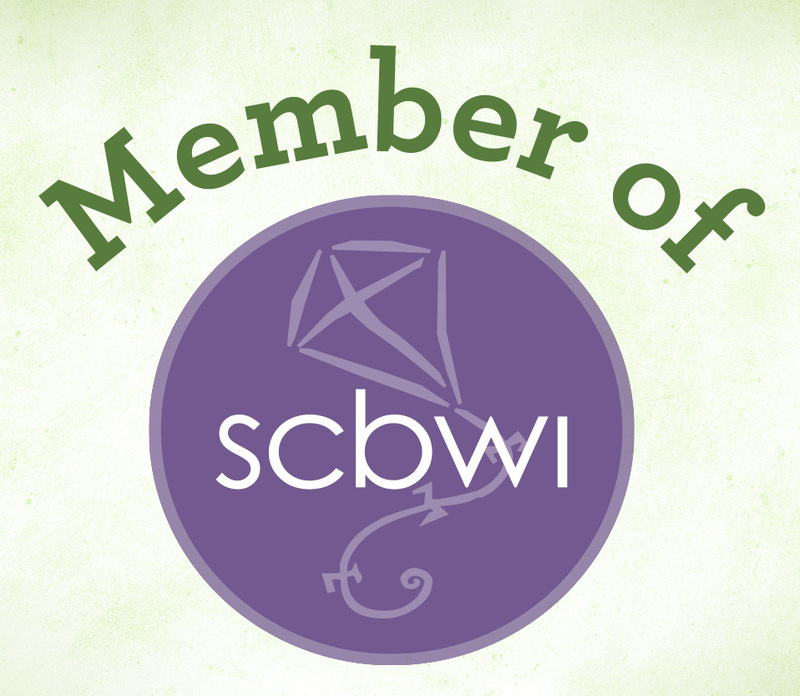 The good folk at Newbery will even give you a silver badge for it! The triple homicide of a family leaves its youngest member, a toddler, all alone in the world. In the aftermath of the grisly event, he wanders into a nearby graveyard, where he’s adopted by the resident ghosts–the friendly type–and dubbed Nobody Owens, “Bod” for short. There he stays all through his childhood, learning to read and write with headstones as books and old-fashioned personages directing his upbringing. He has (real) mythical mentors, a relentless enemy, and endless curiosity, all of which conspire to create fantastic adventures as he grows from toddlerhood into adolescence. 20% read, 2 books ahead of schedule. Go baby! Have you read any of the books in my monthly reading round-up? I would love to know in the comments if you agree or disagree with my reviews.